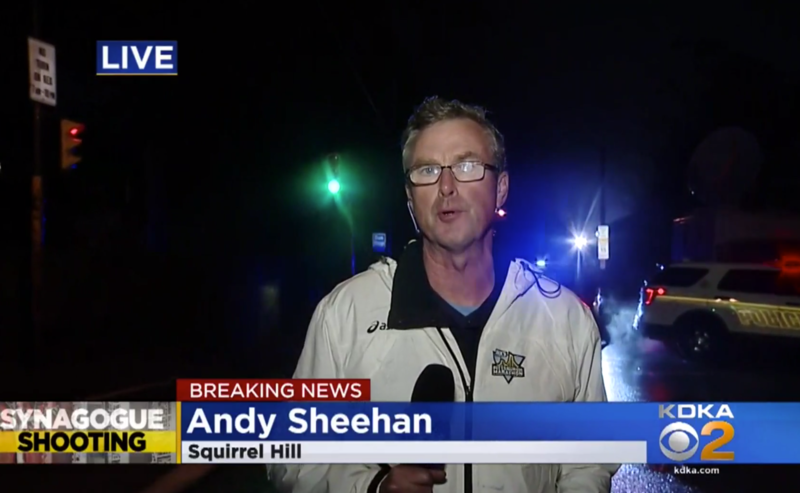 KDKA-TV reporter Andy Sheehan was doing live reports at the corner of Northumberland Street and Shady Avenue in Squirrel Hill on Saturday when Jeff Cohen from the Smallman Street Deli walked up with a corned beef sandwich. 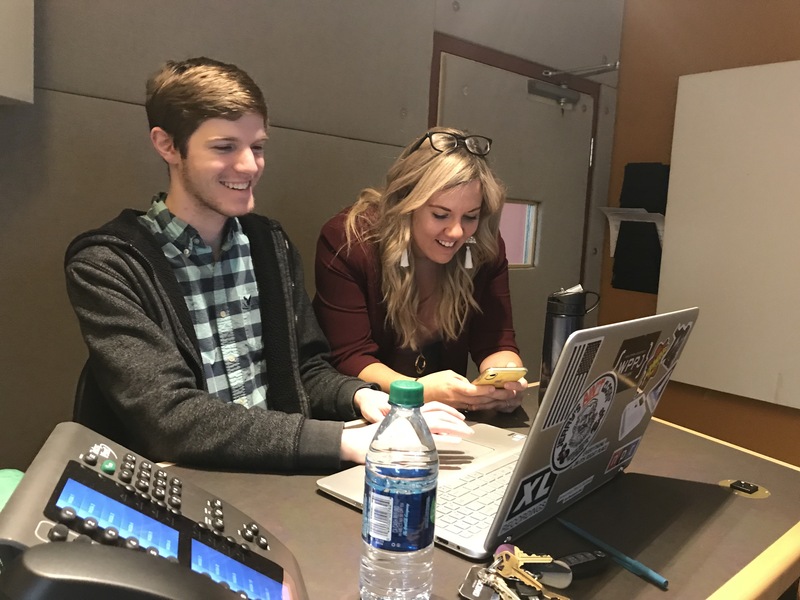 Napoli’s sent over pizzas, and local residents brought cups of coffee and bottles of water for Sheehan and cameraman Fred Williams. Others let them come inside their homes to use the bathroom. 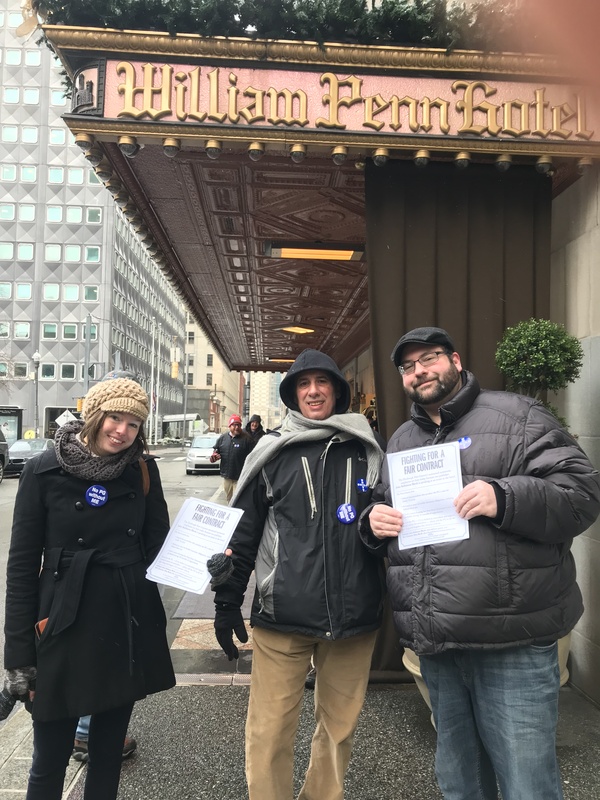 In the middle of a horrific tragedy — a gunman’s killing of 11 people and injuring of six others inside the Tree of Life Synagogue — Sheehan also found himself surrounded by his community. He lives just 300 yards from the synagogue. 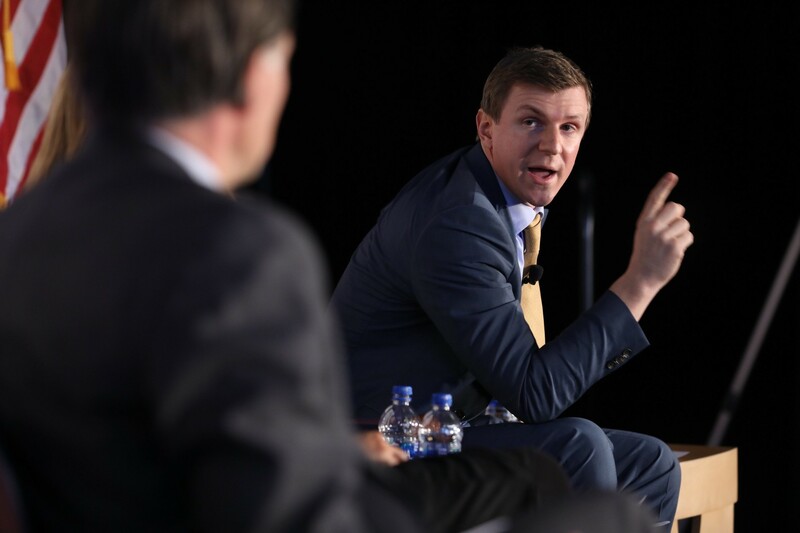 James O’Keefe answering a question at the National First Amendment Conference. Photo courtesy of Duquesne University. 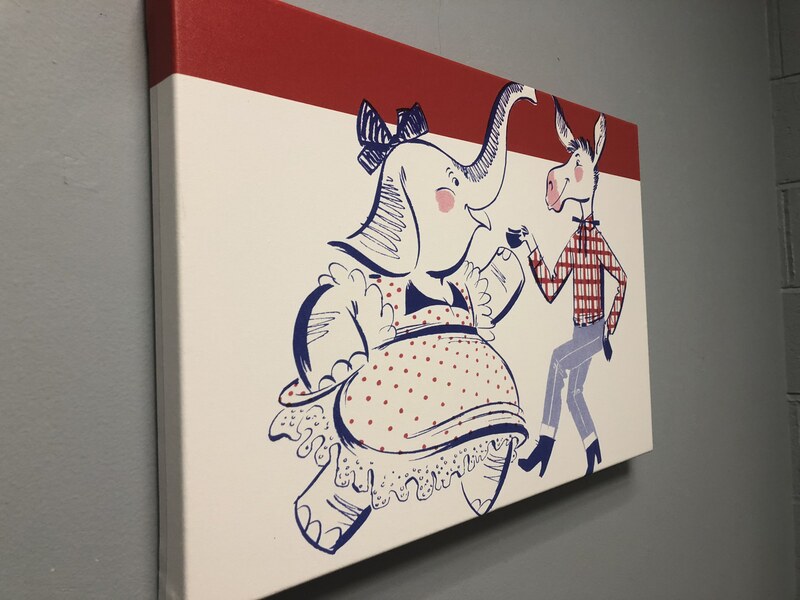 If you like the column, please share. 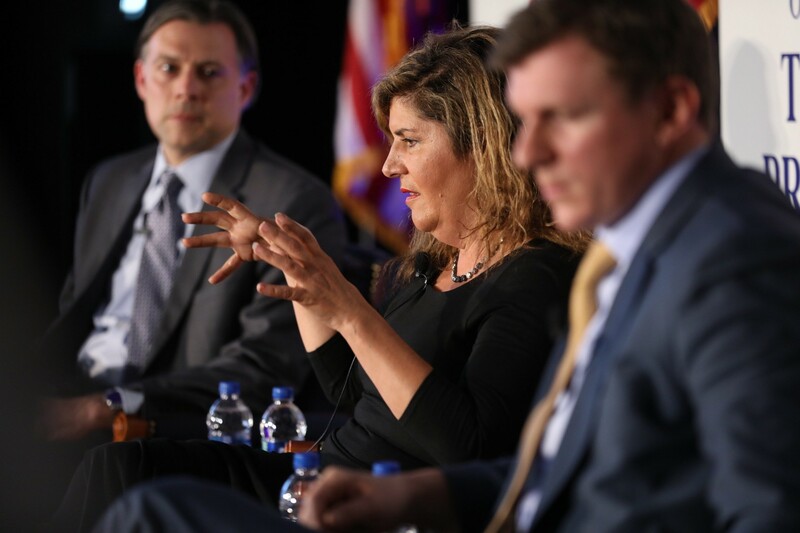 Salena Zito, national politics writer, caught between James and me. Photo courtesy of Duquesne University. 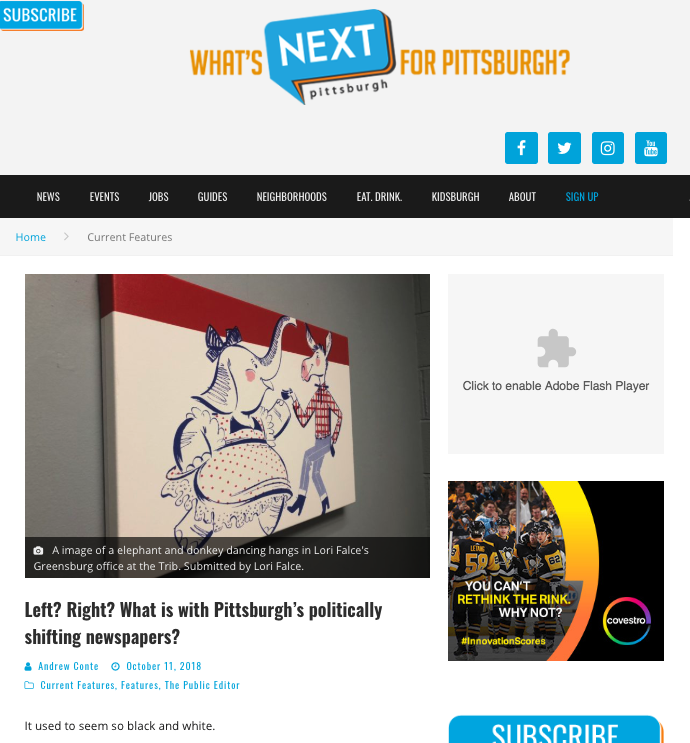 Perhaps you have wondered, What is up with the politics at Pittsburgh’s newspapers? My latest column seeks to shed some light. Plus, an exclusive interview with the Trib’s new community engagement editor. It used to seem so black and white. Pittsburghers counted on the Post-Gazette for left-leaning perspectives, while the Tribune-Review took up positions on the right. 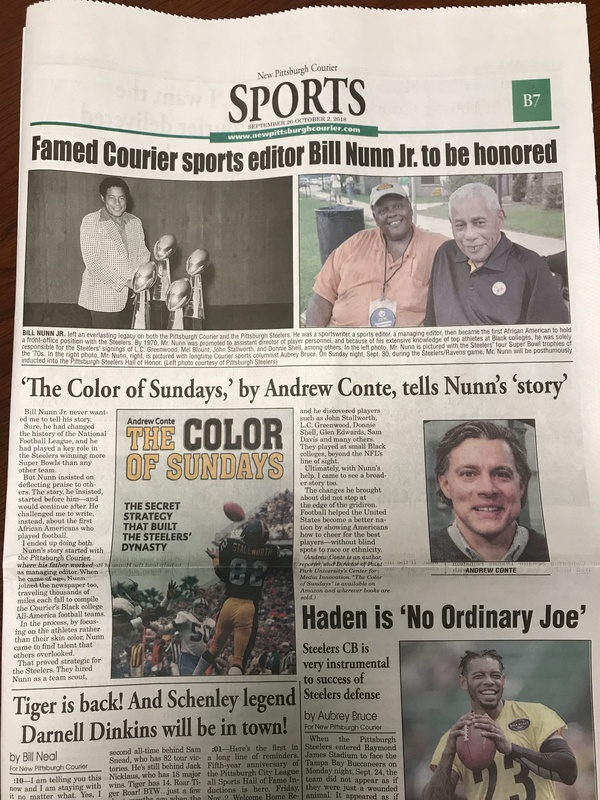 In truly one of the highlights of my career, The New Pittsburgh Courier asked me to write a short column about Bill Nunn Jr. and why I wrote about him in The Color of Sundays. It’s in this week’s edition. We’re excited to see Nunn get inducted this weekend into the Steelers’ Hall of Honor.